Today is the day of white cheddar chips. By the way, I’m pretty sure this theme has been inspired by Breaking Bad. Just saying. I’ve already written fondly of my love for cheese snacks so I won’t bore you with that love letter again. 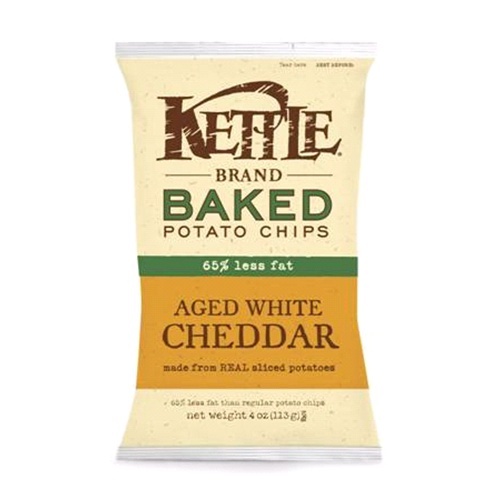 Instead, let’s launch straight into our review of Kettle Brand Baked Potato Chips in Aged White Cheddar. I have always been a fan of cheese-flavored snacks. Growing up, I loved to eat puffed (never crunchy) Cheetos, Cheez-Its, and Cheese Nips. White Cheddar Cheez-Its were always my favorite even though I could only eat so many of them in one sitting due to the salty and overwhelming white cheddar powder. Then in high school, Cheetos introduced Natural White Cheddar Puffs which were less salty and less aggressively flavored than White Cheddar Cheez-Its. I loved them. Even though I had a weakness for white cheddar flavored snacks, I ate them sporadically because I knew that they weren’t good for me. 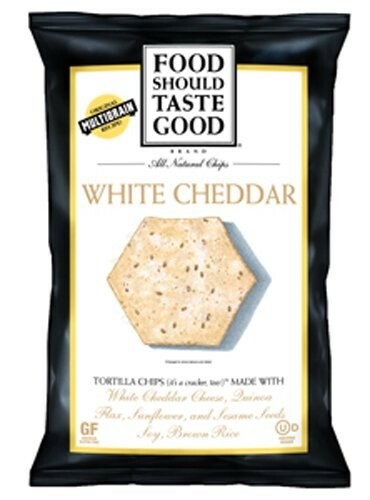 Luckily for me (and people with a similar affinity for cheese snacks), I have recently discovered Food Should Taste Great White Cheddar Tortilla Chips. These chips are good. Let me repeat: these chips are good. I’ve already established that I am a huge fun of crunchy chips, and these thick pita chips have the most wonderful crunch to them. 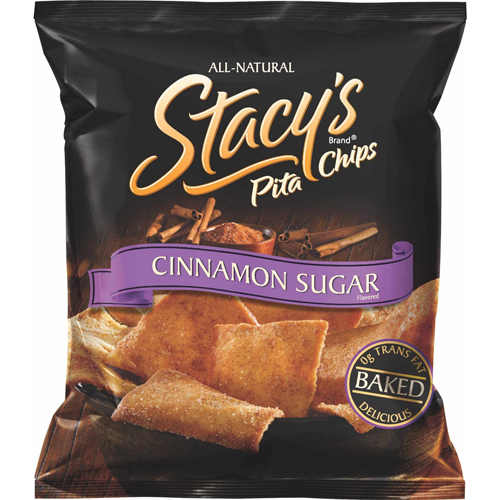 The combination of a thick, plain chip with a nice dusting of sweet cinnamon sugar is absolutely delightful and is the reason why Stacy’s Cinnamon Sugar Pita Chips are great for satisfying your sweet tooth. Today’s second post is another drugstore snack. In New York City, Popchips are in every Duane Reade and Duane Reades are in practically every neighborhood, meaning that Popchips are practically everywhere. So one day, while starving and waiting for a late train in Penn Station, I stopped by Duane Reade and picked up a bag of Salt & Pepper Popchips. To start off the week, I have decided to review a snack that can probably be purchased at your local drugstore. Most of the snacks reviewed last week are sold in supermarkets and health food stores, but sometimes you may not be able to squeeze a trip to either during your lunch break, or you might be in a place with limited food shopping options (Newark Penn Station comes to mind). 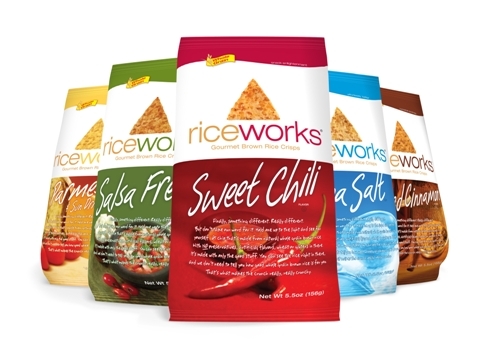 In those scenarios, nuts are the healthiest snack you could possibly have; however, if you are in the mood for something more chip-like, you should try Riceworks Gourmet Brown Rice Crisps. 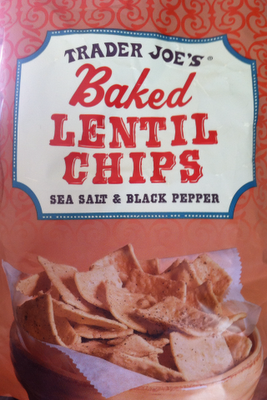 for chip mongers like me, it’s crunchy and delicious…but better for you than tortilla chips. plus the tangy flavor leaves you more satisfied! 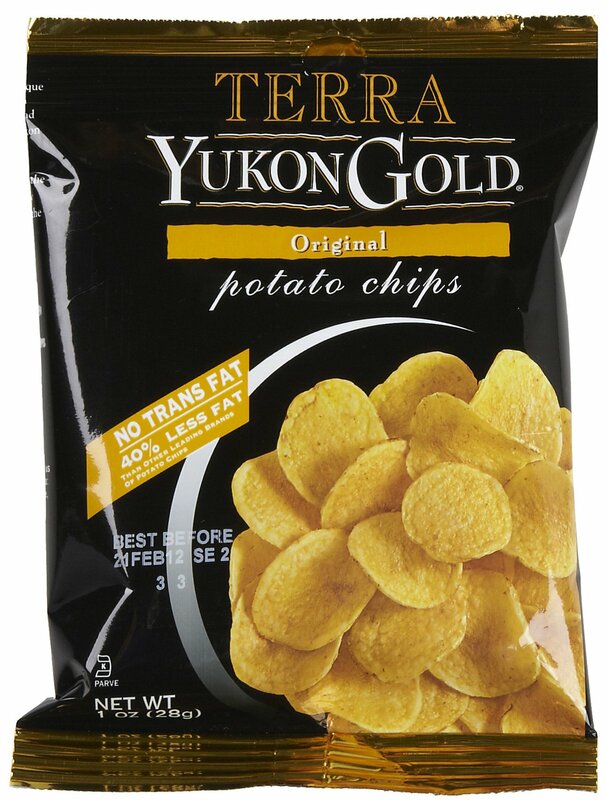 Editor’s note: These chips are gluten-free and trans-fat-free. They have 120 calories per serving and are low-fat, with only 2.5 grams of fat (4% of your daily recommended amount). Each serving contains 220mg of sodium, less than 1 gram of sugar, 2 grams of fiber, and 4 grams of protein. Before seventh grade, I thought tortilla chips were a pointless snack. As a child with a mother who sincerely believed Fig Newtons were a yummy treat, I decided to take snacking into my own hands. All of my snacks needed to be full of flavor and the saltiness of tortilla chips did not count. The only exception were Cool Ranch Doritos because they were flavored and had green and red flecks of “seasoning” on them. Works of art, to be honest. Trying Tostitos Tortilla Chips with a Hint of Lime at my first Peer Listeners meeting changed all of that. The chips blew my mind. They were still salty, but the lime flavoring surpassed my wildest expectations. Plus, the chips were sprinkled with green flecks of flavor which is obviously a telltale sign of tastiness. My eleven-year-old palate was in heaven! Fast forward to today and I am still a huge fan of flavored tortilla chips. I love the thickness of tortilla chips, I love the crunch, and I love that there are so many interesting flavor combinations to try! 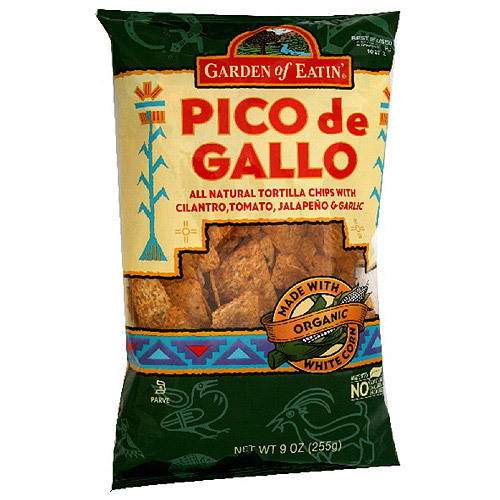 So when I went to the natural food market and saw Garden of Eatin’ Pico de Gallo Tortilla Chips, I figured I had to give them a shot. Now, I was a little skeptical. Potato chips with salt are good, but salt and pepper? Either they were going to be disgusting, or they were going to be so good that I would have to eat the whole bag. Neither outcome was to my liking. I hesitantly tried one, and I have to admit, it was pretty good. But of course my boyfriend can never do anything completely right, and these were completely regular, unhealthy potato chips, which was fortunately enough to keep me from eating too many. I knew there had to be a better, baked alternative, and I found them the next day in the Kettle brand. The best part of my home-cooked meal. 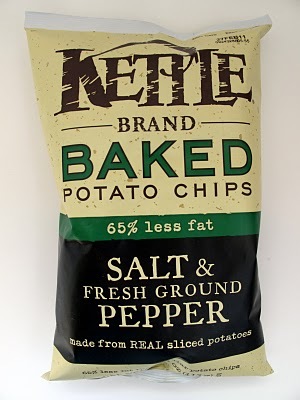 The Kettle chips have 65% less fat than other chips and also actually have some fiber. 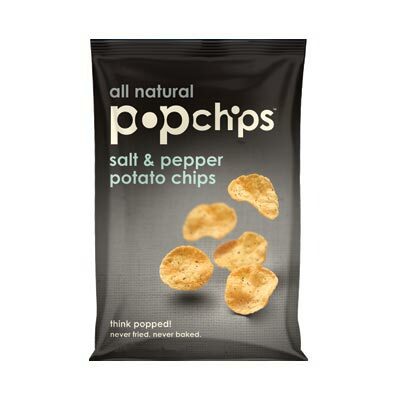 You can have about 20 for 120 calories, making them the perfect mid-afternoon workday snack, and eating salt-and-pepper chips seems SO much cooler than regular just-salt chips. They’re like hipster chips. Not that I want to be hipster, just like sort of accidentally casually a little bit hipster. Sometimes. P.S. As I write this I am watching a movie on BET called “Phat Girlz.” It’s not the most, um, refined movie, but it’s about body image acceptance and I kind of recommend watching it. If it like already happens to be on TV. Don’t go Netflixing it or anything. It’s not quite THAT good.